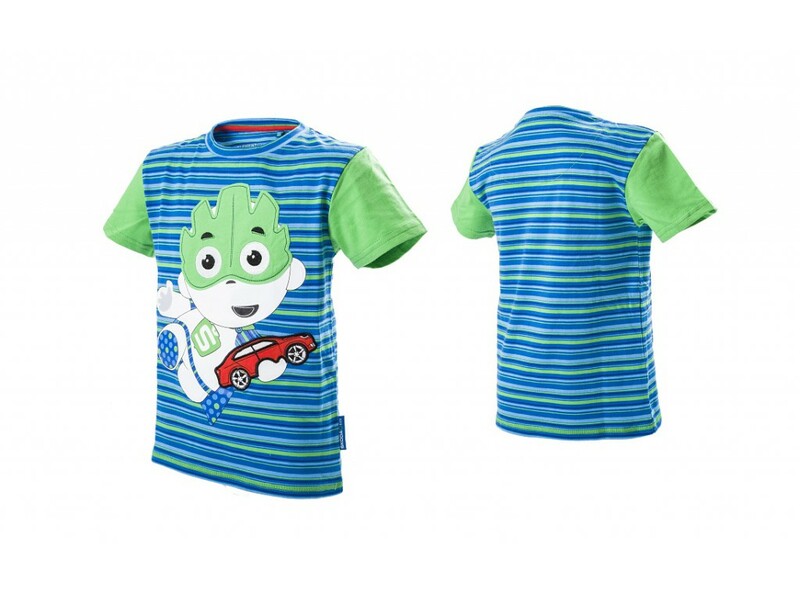 Stripped T-shirt with green sleeves is the right choice for your young driver. 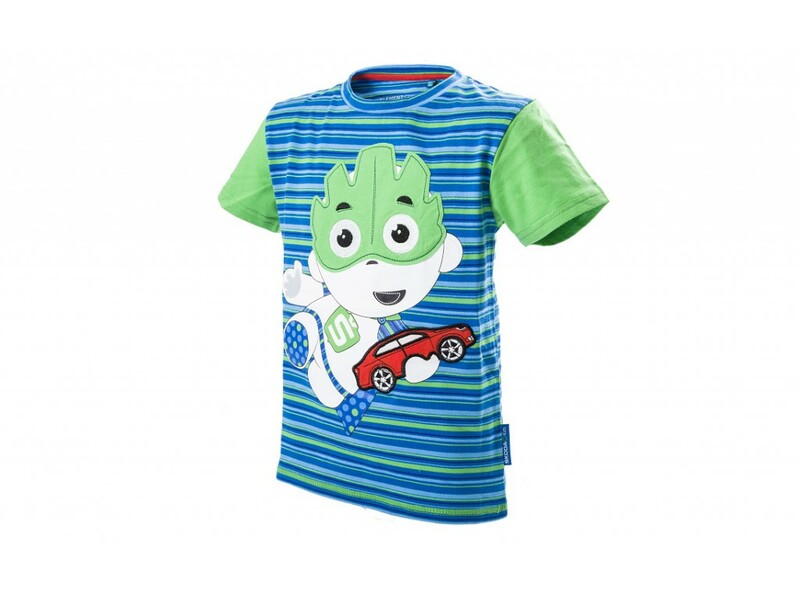 The Klement mascot with a red car (print + cotton applique) will take the young traveller to the exciting journey through the land of fantasy. 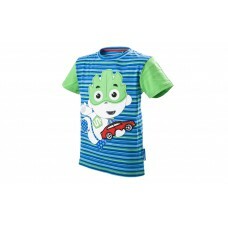 Please specify the size while making your order.